When I went to Nant BH I experienced a lot. I got past my fears and now I can do a lot of things with my life . I had a really good time there and I tried new things that I would never have done before. I wish I could go back there, but I am in year six so I can’t. I would do anything to go back to Nant. It is so good, in fact it’s more than good, it’s amazing. Especially with the teachers that have given up their own time to make children’s lives better and I’m one of those children. I wish I could go back and say thank you properly to them. I would travel miles just to do that. I will never forget what they did for me and I hope they do not too. In Nant we had lots of fun. We did all sorts of enjoyable activities like gorge walking - that was my favourite. We went up the elephant’s bottom - that was a part of gorge walking. We had to grab hold of this rope and pull ourselves up. It was so fun. When we got back from gorge walking we had hot chocolate and a biscuit. It was yummy. Then we had a shower and got dressed for another activity. We did a night walk so we grabbed our torches and off we went. The next day we went mountain climbing, it was hard work. We all got as tired as a sloth. We collected a stone each, most of us got quartz. After we got another hot chocolate and had dinner. The lady who cooked the meals was called Trudy. Then we went on the ropes, it was so much fun. We went back and got into our P.J.s then had tea and watched a movie. The next day we went orienteering around Nant. We had such a great time and then we travelled back to school. When I went to NANT B.H I had a lot of fun. I wish I could go again in high school. My favourite activity was gorge walking because I got to jump in the pond and so did Mrs Harvey .The food was lovely. A lady who cooked it was called Troody. Her meals were delicious. At Nant BH we did Mountain climbing and I sank into a bog twice which I did not like that much but the rest of the experience was great. The second day we did Gorge walking. We had to walk on rocks and there was a freezing cold river. I fell into the river once and my boots were drenched when I fell in. Then we had to get up two rocks that looked like an elephant’s bottom and I struggled to climb up the small hole but I managed to at the end. When all the rest of the team got up we went down a slope and went to the van to have some hot chocolate!! 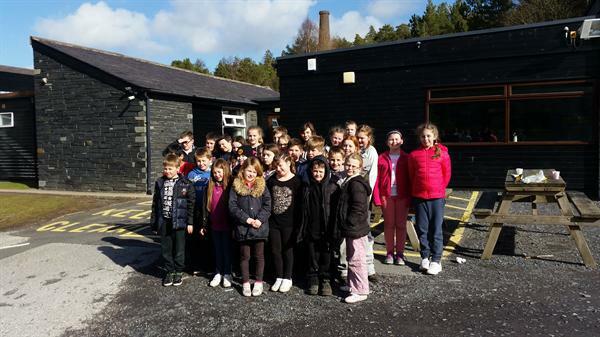 When I went to Nant BH I had a lot of fun. I really liked the ropes and mountain walking but my favourite thing was gorge walking. I was the only one who didn’t fall in the gorge. I was the second to jump in the river. It was freezing cold. I wish I could go back but I am too old because I will not be here next year. It was funny in the dorms because I was on the bunk bed and I fell off. I hurt my arm. It hurt but at the same time it was funny. The orienteering was really fun. I and Louis were in team PFU 99. Our team won.